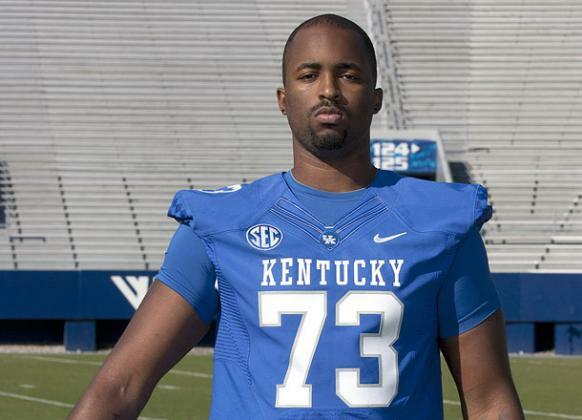 Two Kentucky players suspended for season opener. Sunday, April 21, 2019 • R.I.P. Edition • This is not rocket science, people. Get a grip. Kyle Meadows. Imgage via Bleacher Report. Kentucky will be short two players for its season opener against Louisiana-Lafayette on Saturday. Wildcats head coach Mark Stoops has suspended defensive lineman C.J. Johnson and offensive tackle Kyle Meadows for the ever-vague "violation of team rules." Meadows was expected to be a starter for the Wildcats. Kentucky will play Louisiana-Lafayette in its season opener at home on Sept. 5.